Finding a shaving store online where you can comfortably shop for your wet shaving essentials without worrying about low quality or overpriced items is key these days. OriginalShaveCompany.com specializes in high quality shaving essentials offered at good prices and of course combined with our exceptional customer service. We carry only the best quality products from well known, trusted manufacturers. One of the many benefits to shop with us is our extensive knowledge of shaving essentials which we will be more than happy to assist with if you just contact us. The following is a listing of the different wet shaving products that are available from our shop. We stock a wide variety of razors so there is always something for every different kind of gentleman. If you’re into old school straight razors, we have original Dovo Shavettes for you. If you prefer classical shaving with a safety razor, then we have quality razors for you from reputable names like Edwin Jagger, Merkur and more. If you are not much of a traditional wet shaver and prefer to go with the times, we also have classic Mach3 or Fusion razors which use authentic Gillette cartridges. 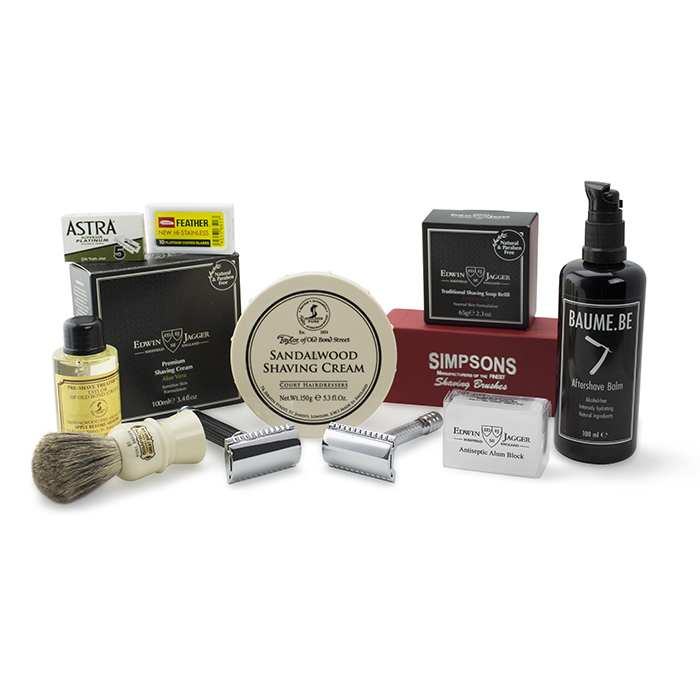 Our online shaving store offers a very fine assortment of shaving brushes from well known brush makers such as Simpsons, Edwin Jagger and much more. We currently stock authentic pure badger and best badger brushes from Simpsons while our Edwin Jagger assortment includes high quality synthetic brushes, pure badger, best badger, super badger and Silver-Tip badger brushes. So whether you are a wet shaving animal-lover who prefers synthetic brushes or the traditionalist who must always have a badger brush, we have what you need. What’s unique about our store is the custom shaving sets with our high in demand“Bundle & Shave” program. If you like making bulk purchases to get better deals or you just love to have complete packages of anything, then you will love our Bundle & Shave deals. We offer a variety of bundles which combine different products from different manufactures into unique offerings. Apart from our pre-packed deals, we also offer you the opportunity of selecting the individual items by yourself with our “Build Your Own Bundles”. One important thing to remember here is that whichever way you make your selection, you can always rest assured that you are selecting from the highest quality shaving essentials. Our shaving store would not be complete without shaving soaps and shaving creams. We offer you the very best shaving essentials when it comes to lathering up since we only choose brands which are butane free and don’t include harmful chemicals which can irritate or dry up your face. 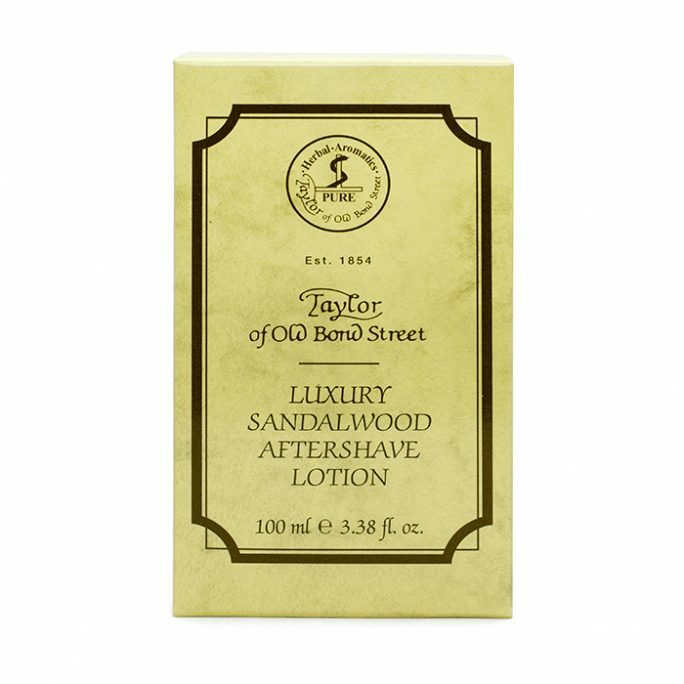 We stock traditional shaving soaps from reputable producers like the Colonel Conk, Edwin Jagger, and Taylor of Old Bond street. These are some of the best hard soaps you will find for making a luxurious shaving lather and you can also choose from the different fragrances available, like sandalwood, lime, amber and bay rum. Our shaving creams are also of the finest grade and include shaving cream jars and tubes with Lavender, coconut-oil, sandalwood, cooling menthol and lime fragrances. 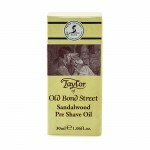 We also offer pre-shave oils in our shaving store from the same manufacturers listed above. Pre-shave oil is a necessity for a quality wet shave, especially for people with sensitive skin. A pre-shave oil application helps to protect and lubricate the skin while an after-shave helps to nourish it. This nourishment is important because shaving exfoliates the outermost layers of the skin which then needs to be nourished. We offer both safety razor blades and disposable straight razor (shavette) blades. 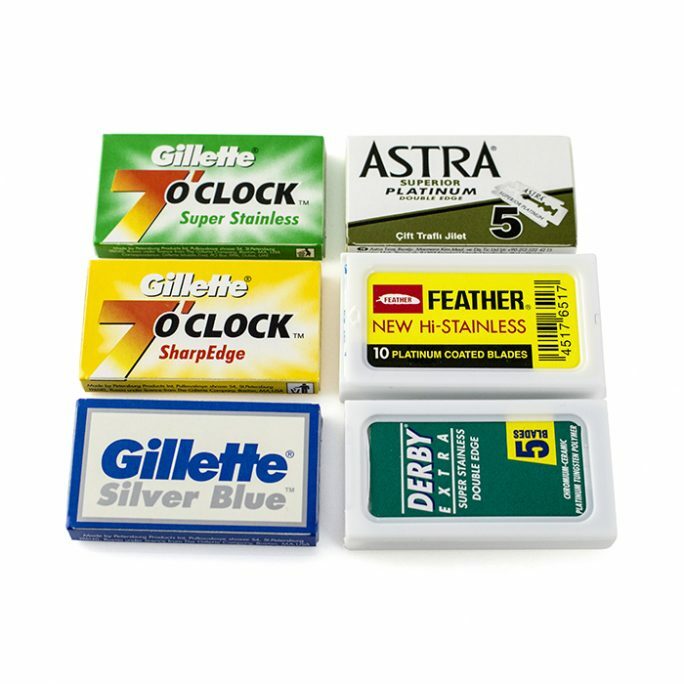 In our shaving store, you will find razor blades from Gillette, Merkur of Germany, Feather of Japan, Astra, Derby and Dovo of Germany. These are some of the highest quality brands and companies for wet shaving. 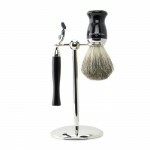 Feel free to visit our online shaving store and to give us a try today. We also offer a full 30-day return policy on our products and we accept all the major credit cards, including paypal. If you prefer to place your order over the telephone, you can call us toll-free at (800)769-4935 Ext 1. You can also use the “Contact Us” form on our website to send us an email and we will get back to you promptly. The initial cost of acquiring a straight razor set can be higher compared to cartridge razors, but after that, you will only need to buy shaving soap or cream occasionally. 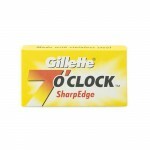 There is nothing else to buy, no replacement blades, no cartridges, simply nothing else. This is true if you purchase a straight razor, not to be confused with a Shavette which is a very popular alternative which does require blades. We will get more into the Shavette later in this article though. If you want to get the best shave possible, then you need a straight razor. Nothing shaves better than a straight razor. With a straight razor, there is nothing to throw away every week. Again no blades, no cartridges, nothing. The straight razor is also called the cut-throat razor and for good reason. You will need to be very careful each morning when you are shaving with a straight razor to avoid cutting yourself, while you see yourself in the mirror holding that classic razor. After a while, this becomes a morning ritual that you will not give up for anything. However, it does take practice to get to this comfort level. Shaving with a straight razor is more time consuming than most other shaving methods. Apart from the shaving itself, you will also have to strop every shaving session and occasionally hone your razor. 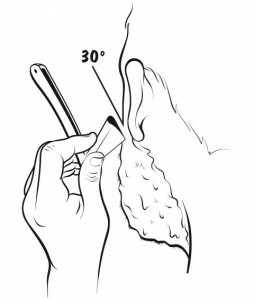 This is the maintenance process of the straight razor that is required to have the most optimal shave. The straight razor is a dangerous weapon. You will have to be extra alert to avoid hurting yourself each time you shave. 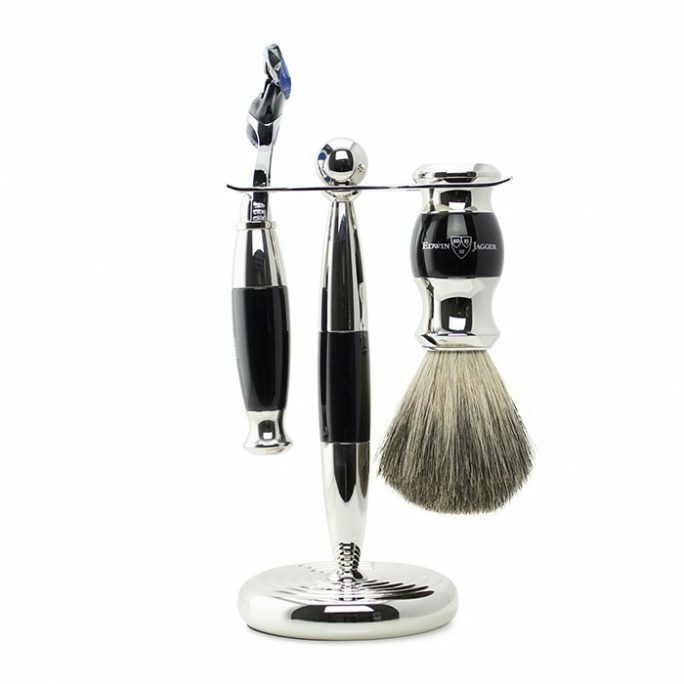 Do not get overly confident or believe you have a handle of this shaving tool unless you have been using one for a long time. Remember, this is an art to perfect over time. Not one to achieve overnight. Shaving with a straight razor requires that you strop your razor each shaving session. The strop is a leather device that is used to keep the blade dry and properly aligned. Always strop before a shave and if you can, also strop after shaving. To strop, you simply hang your strop to the door or somewhere else and then with the edge (the sharp side) trailing the stroke slide gently to the other side while raising and turning the razor. 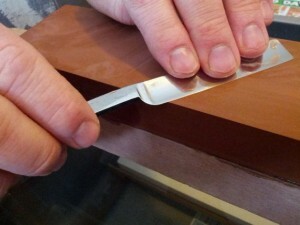 This ensures that by the time the razor is at the other end of the strop, the edge would be leading. So if you were stroking towards yourself, first the edge would face away from you. But by the time the stroke is complete, the edge would be facing you. Strop towards the other side, then repeat a few times. While stropping will keep the razor’s blade as perfectly sharp as possible, it will still grow dull after about a month or two. Then your razor will require honing with either a whetstone, ceramic or other hone material. About 6 to 10 strokes in each direction is usually enough. Honing must also be done with the edge (the sharp side) leading the stroke. That is, when the stroke is coming towards you, the edge must be facing you. The razor must also be perfectly flat on the stone with both the edge and the back touching the flat surface simultaneously, else your razor will go blunt. Also remember to strop after honing. 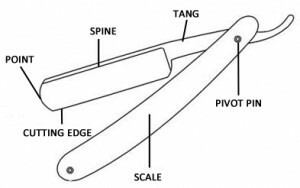 If you are not comfortable performing this part of the straight razor maintenance, check your local grooming supplies store to see if they could recommend an outsourced option to assist. Buying an experienced friend coffee in exchange for honing your straight razor is a great alternative if you have this as an option! It is important to lightly oil your blade after stropping as this will help to maximize its durability. Think of this as the aftershave for your actual straight blade. You are going to want to protect your steel so it could perform well the next time around. It is recommended to use Camellia Oil on the blade itself and dry it off to where only a small residue resides on the blade after use. Remember, oiling is really optimal if you are going to store your blade away for a week or more. If you use it daily, oiling isn’t really necessary since the blade is constantly being used. We recommend oiling for sure after a honing session. Different people have different grips for their razors depending on the direction they are shaving. Normally you rest your first three fingers on the back of the shank and your pinkie on the tang. then place your thumb on the blade’s side, near the middle. Of course there are multiple different methods to holding a razor and it all comes down to preference. The most important part is to get comfortable with the razor. It will take time to perfect and the awkward feeling will go away, we promise. As mentioned before, go slow and have fun with it. When it comes to shaving with a razor, the standard preparations that apply, just as with any other method of wet-shaving include the preparation of the face either with a towel soaked in hot water, or beginning the shave session just after a shower. This helps to open the pores and also soften the hairs. The next step then is the application of a pre-shave oil. Pre-shave oil helps to reduce friction around the shaving area and can also act as an antiseptic. Then apply your usual shaving cream or soap lather, massaging it in with a brush in a circular motion so that every stubble and the skin below the stubble is properly lubricated. Shaving with a straight razor should always start with slow and even strokes in the direction of the grain (direction of beard growth). The razor must be held at a 30 degree angle to the skin at all times or else you will cut yourself. Before each stroke, use your other hand to stretch the skin in the area so it’s taut. You can make multiple passes over the same area but keep it in the same direction as the grain. This is the standard way of shaving with a straight razor. Shaving with a straight razor exfoliates the outermost layers of the skin. 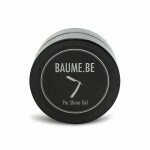 It is therefore necessary to apply a moisturizer after shaving to help nourish and replenish the skin. If you are interested in trying out shaving with a straight razor but you are not so sure about spending a few hundred dollars on a straight razor shaving set right away, then you could always try out a disposable blade straight razor. 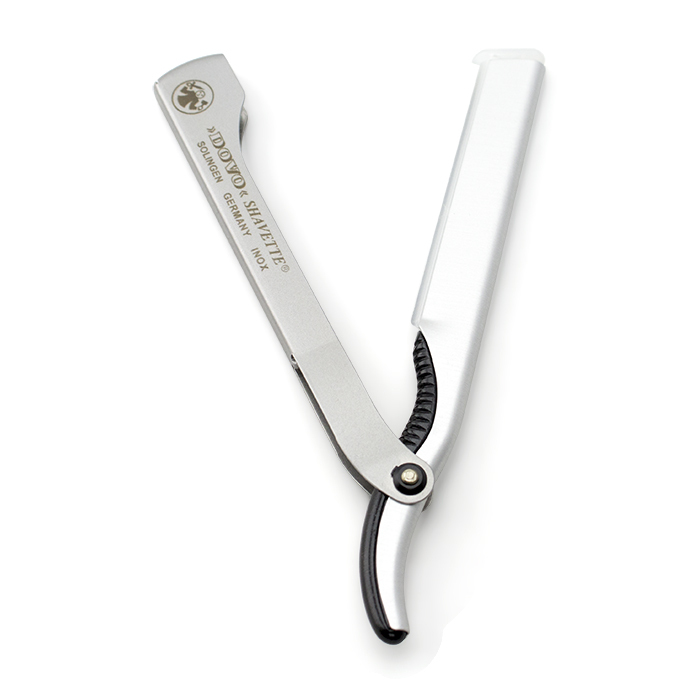 This is the Shavette we were referring to above. These are just like classic straight razors but they have blades which are not made from Sheffield Silver Steel but rather from stainless steel that blunts after a few uses and must then be replaced. These so called “Shavettes” are not considered Straight Razors, but they’ll give you an beginners idea so that you can decide if straight razor shaving is for you. Shaving with a straight razor could be a extremely intimidating and frightening part of the wet shave process. This is especially true if you have never used a straight razor before. But before you go give up and go back to your conventional shaving methods, give straight razor shaving a try ONLY after you have done your research. So before you grab your super sharp blade and point it to your neck, here is what is an absolute must. 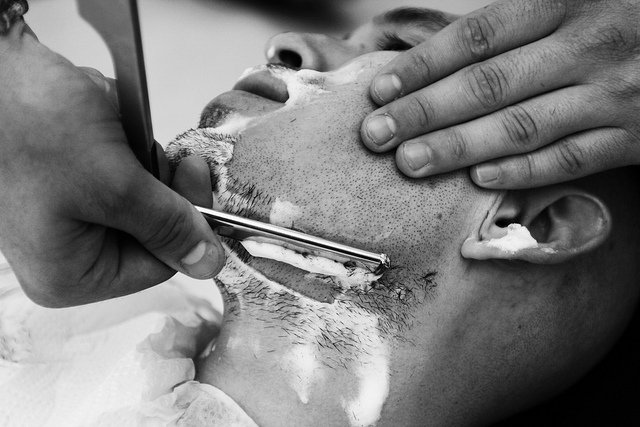 You must experience a straight razor shave before attempting to try it yourself. We say this because you need to feel it done by a professional before you even think about performing this on your own. Paying close attention is a must when your barber is performing your wet shave so make sure you are watching what angle the blade is being used at, what speed the razor is being pulled across your face, what type/style of blade is being used. These simple tips could not only save you a ton of blood and the nickname “scarface” from your friends when you try it yourself, it could also teach you the technique needed to perfect this art of shaving. Remember, don’t be afraid to ask your grooming professional questions on how to shave with a straight razor at home. Most wet shave experts are fanatics like us and will be happy to share this knowledge with you since it gives you the most fulfilling shaving experience in the comfort of your own home. After getting your professional shave, it’s time to hit the net! No, we don’t mean the tennis court nets. You should take some time and watch some videos online of people who are shaving using their straight razor. You want to make sure you watch a few different videos (professional versions and novice versions) just to get a different perspective from the grooming professional who performed your wet shave. Ultimately, education is key here and there is no quick perfection achieved in this art of shaving with a straight razor. We hope you enjoyed this article and are at least a little more comfortable with the process of shaving with a straight razor since you have taken the time to educate yourself. As always, please contact us if you have any questions as we love to help our customers! Happy Shaving.